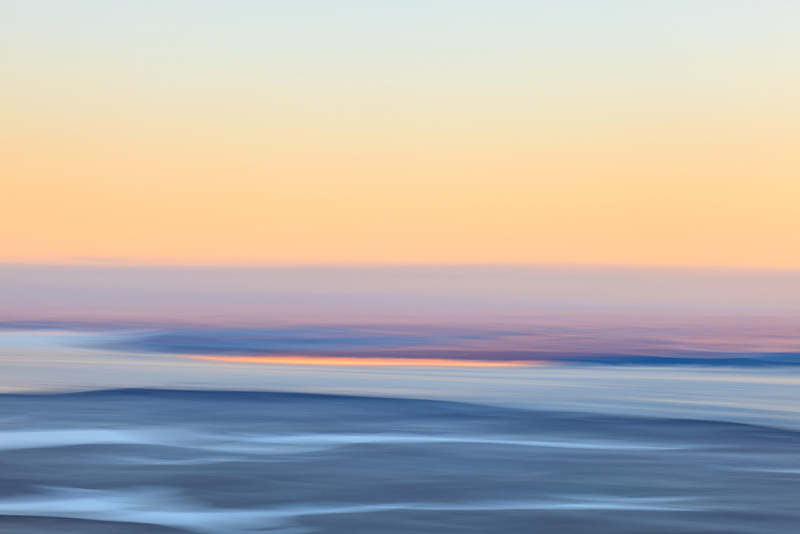 Motion blur of Eagle River Flats in foreground with snow covered lakes, Knik Arm, and Susitna Valley in background during sunrise from Eagle River in Southcentral Alaska. Winter. Morning.